Sheldon Hemingway, Private Pilot Flight Test, Langley Flying School. 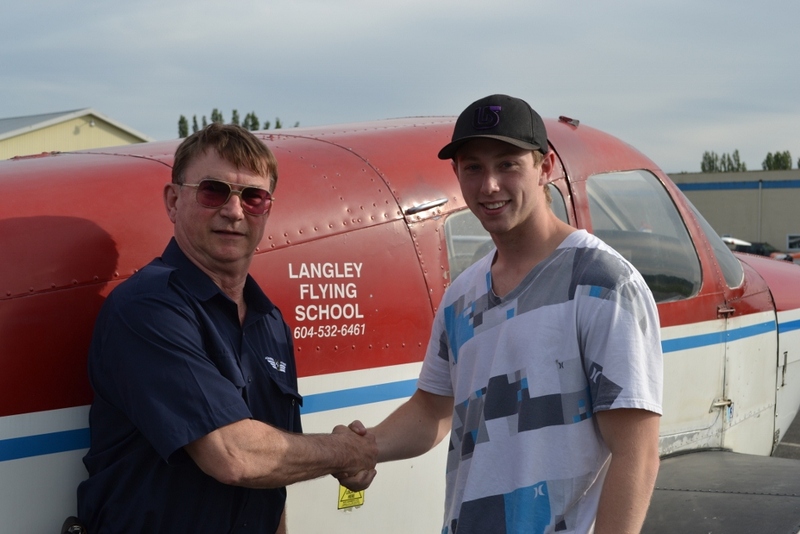 Congratulations to Sheldon Hemingway, who successfully completed his Private Pilot Flight Test with Pilot Examiner John Laing on June 11, 2012. 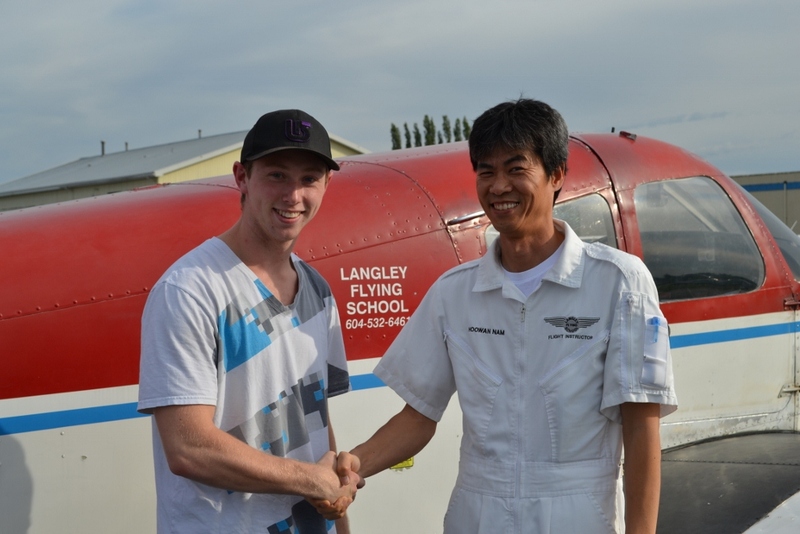 Congrats also to Sheldon's Flight Instructor, Hoowan Nam. Sheldon Hemingway receives congratulations from Pilot Examiner John Laing.